Plant Health Care | Vienna, Fairfax VA | Deehan Landscaping, Inc.
Plants and trees need a healthy environment to thrive, just like humans do. Our approach to plant health is a holistic one. We're committed to keeping your entire landscape healthy, lush and beautiful, using the most environmentally-friendly practices possible. 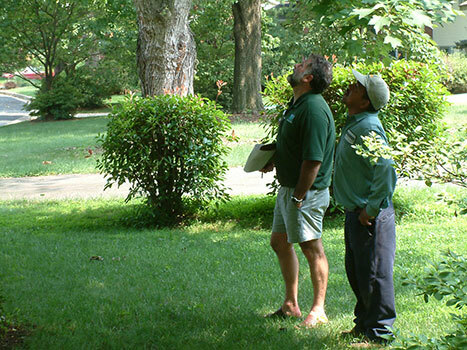 Our employees are trained to recognize and care for the most common landscape trees and shrubs in Northern Virginia. If you have extensive planting areas with unusual specimens, a Horticulturist & ISA-Certified Arborist will review proper care requirements with the assigned technician. Additionally, specialty instructions will be entered into your property notes for our technician’s future reference.